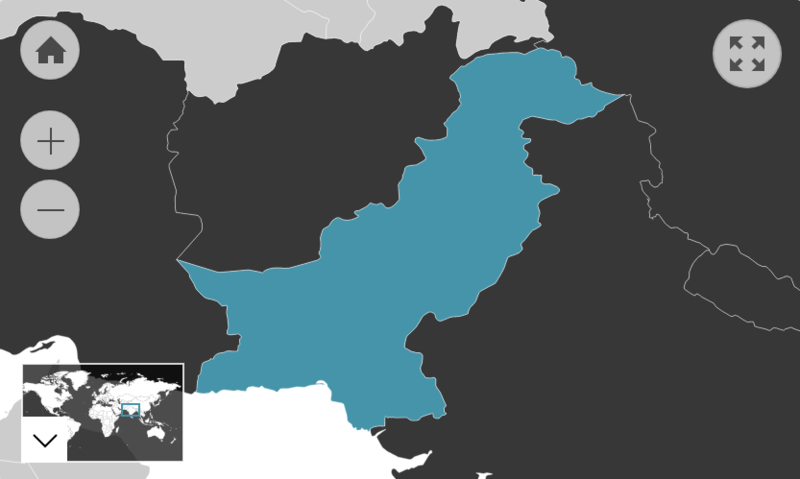 Pakistan is a multi-ethnic country located on the western border of India and the eastern borders of Iran and Afghanistan. The land the country occupies has a rich history of conquest and migration, which has contributed to Pakistan’s diversity. As such, norms and values vary significantly across the country, and the regions and provinces are quite distinguished from one another. The vast spectrum of ethnic and religious diversity presents certain difficulties when trying to identify consistent practices, beliefs and values. Currently, the country can best be described as a cultural mosaic, where conservatism and traditionalism reside side by side with secularism and liberalism. Though the country is commonly characterised on the global stage as part of ‘the Middle East’, Pakistanis tend to consider themselves more South Asian. The national identity of Pakistan is heavily influenced by its recent modern history. It only became a nation when it separated from India in 1947 (known as Partition). The formation of the country bore with it an idea of what Pakistani society should look like and embody, enticing millions of people to immigrate from India. Since then, there have been constant negotiations of space and identity, leading to changes such as the secession of East Pakistan as Bangladesh. Even with its sovereign borders now relatively concrete, significant upheavals have continued to occur in Pakistan. Its geographical position has subjected the country to the consequences of surrounding conflicts, and the political climate has been known to shift depending on changes in direct power. For example, the secular leanings or authoritarian nature of national leaders have significantly affected the social atmosphere. Contemporary world events have also exacerbated differences between some of the diverse lifestyles and cultures that have previously co-existed harmoniously. In turn, Pakistan has become troubled by inter-religious tensions, ethnic conflicts and terrorism. As a result, Pakistan has an ever-evolving culture and its people have had to be flexible; the past century has been unstable and involved constant compromise on their behalf. Today, the country also has an exceedingly young age structure that may present difficulties in the future. According to the CIA World Factbook, as of 2016, it is estimated 53.3% of the population is under 25. Drastic demographic shifts and turbulent politics have meant that the social security afforded to the average Pakistani citizen is minimal. Instead, adaptability, resilience and self-reliance have become important qualities. Pakistan has a collectivist culture in the sense that people are deeply interdependent and loyal to those who are in their inner circle. Social connections are essential to daily life, as citizens have often had to rely on themselves instead of their government for support and opportunities. Relationships play an important role in completing professional, personal and social tasks. This is understood through the concept of ‘wasta’ – relationship forming. Wasta can be observed when, for example, people turn to a close friend or relative for help, instead of a government institution. This kind of social support network is crucial and gives many Pakistanis a very strong sense of community. One sees the strength of this support network most visibly within families. The loyalty shown to these relationships is often extremely strong. For instance, individuals may place their family’s interests over their own, even if they conflict. Furthermore, relatives often expect to receive preferential treatment. In return for this loyalty, an individual gains a sense of belonging, protection and unity. People tend to identify with their family before any other social indicator. Following that, those who are very urbanised generally tend to consider themselves predominantly ‘Pakistani’. However, many other people (particularly those in rural areas) also feel a heightened affiliation to their ethnicity. This pride and identification to their heritage can surpass that of their national loyalty. The land that Pakistan occupies has hosted many vast civilisations dating back to the Neolithic and Bronze Age of the Indus Valley Civilisation. A variety of ethnic cultures have arisen from this rich history, with identities and values specific to them. The Punjabis are the largest ethnicity in Pakistan and are generally the most dominant and influential people in the bureaucracy and armed forces. The province of Punjab is Pakistan’s most prosperous and populated. It has been the recipient of extensive government funding and is equipped with many high-quality public services that attract thousands of Pakistanis from all over the country. As past and current governments have shown a preference towards economic, educational and agricultural development in the province of Punjab, Punjabis are often considered to be the privileged ethnicity in Pakistan. Pakistanis of other ethnicities can also hold resentment regarding the prevalence of Punjabis in government and positions of power. Punjab has been subject to numerous invasions and migrations of people from many different cultures, including the Greeks, Arabs, Persians, Mongols and the British. This has influenced the general Punjabi culture to be open and adaptable to external influence. Punjabis themselves are generally recognised as being flexible people, quite vibrant and unreserved. Punjabi culture has also been greatly influenced by Sufism. This is most apparent through the many shrines, literature and festivals in their honour throughout the province. The north and South of Punjab are quite distinct from each other. While North Punjab is highly urbanised, South Punjab is mostly rural and organised in a feudal way, with Seraiki as a widely spoken language. Social distinctions throughout Punjab are mostly based around people’s occupations. Originating from Khyber Pakhtunkhwa in the northwest of Pakistan, Pakhtuns have gained a reputation as ‘hard worn’ people who have survived in rough topography and severe climates. Today, many are highly urbanised and have become known for their trading and business skills in all manner of professions. Those who remain in Khyber Pakhtunkhwa have generally retained a strong tribalism and collectivistic social organisation. They share many characteristics with neighbouring Afghans1 and often have distinctly Central Asian origins and features (resembling the Uzbeks, Tajiks and Turks). Pashto is the most widely spoken language. Pakhtuns are distinctly recognised for their generosity and work ethic. As hospitality is a core Pakhtun value, they have been known to go to great lengths to please guests of any ethnic or cultural background, and without any expectation of remuneration or favour. They are generally extremely hard working and often exhibit a courageous attitude and honest nature. This often comes through in their business negotiations and deals. Sindhis originate from the southern province of Sindh. Sindh has an ancient culture dating back to the 7,000-year-old Indus Valley Civilisation. It is highly influenced by Sufi doctrine and principles taught by cultural icons and saints of the region. Interior Sindh is distinct from urban areas like Karachi and Hyderabad as it is still largely under the control of a feudal system of land ownership and organisation. Sindhis are generally soft-spoken people. The Sindhi language and culture is characterised by folkloric traditions predominant in rural towns. In Sindh, folk singers and women play a vital role in spreading folklore through musical instruments even older than the South Asian sitaar. The preservation of these tales and instruments is of vital importance to Sindhis, and many have been featured in modern musical renditions. Many Sindhis tend to move to urban areas such as Karachi as businessmen and for public service jobs. Here, they face tough competition from better-educated and urbanised Pakistanis. Nevertheless, they often excel as salesmen, and their traditional arts and crafts are valued throughout Pakistan. Following Partition, around 8 million people arrived in Pakistan. The number was equivalent to roughly a quarter of the country’s (then) population immigrating in a short span of time. These people were generally Muslims leaving India to join the newly formed country. While they came from many different ethnicities, the diverse group of people and their descendants are referred to under the centralised term ‘Muhajir’ – an Arabic word that translates to “immigrant”. Those who settled in the Pakistani province of Punjab generally originate from the Indian regions of Punjab, Haryana, Himachal Pradesh and Delhi. Those who settled in the Pakistani Province of Sindh generally originate from Bombay (Mumbai), Berar, the United Provinces, Hyderabad, Baroda, Kutch and Rajputana Agency. Muhajirs mainly speak Urdu and live in the cities or urban areas. They do not appear to have maintained much affiliation with their original ancestry, and they tend to be more concerned with their local community than their ethnic roots. However, Muhajirs do reflect the influence of their Indian background. For example, they may communicate more directly and are generally quite business-minded. The Balochi people are the indigenous people of Balochistan, which is split over both Pakistan and Iran. Both these nations have a province named ‘Balochistan’ that most Balochis live in, although many others are dispersed throughout Sindh, Afghanistan and other regions. Balochistan is the biggest province of Pakistan but also the most remote and least densely populated. It is characterised by vast areas of desert-like mountainous terrain. This geographical isolation has generally led to the Balochis being secluded from outside influence, meaning they have retained quite a distinct cultural identity. Minority Rights Group International has reported that the socioeconomic conditions of the Balochistan province are “abysmal” in comparison to the rest of Pakistan, with over 50% of Balochis living below the poverty line. Due to the difficulties in finding a consistent source of water and food, many Balochis survive as nomads travelling throughout the province. It is believed roughly 3% of Pakistanis are Balochi, although some Balochi nationalists contend that government policies have deliberately underestimated their numbers. Balochis are predominantly Sunni Muslims; however, there is a substantial regional contingency of Shi'a Balochis. The ethnic group is not culturally homogenous. There are many different clans and tribes that are traditionally organized, led by chiefs. Customs and traditions align with tribal law. Among the rich ethno-linguistic diversity of the country, there are overarching values common to all Pakistanis. For example, much behaviour is noticeably influenced by people’s perceptions of pride, honour and shame. The concept of honour (known as ‘izzat’ in Hindi-Urdu) is deeply embedded in Pakistani culture. A person’s honour, or izzat, is affected by their personal actions as well as the behaviour of those they are associated with (i.e. their family, community or any group they belong to). Therefore, if an individual does something dishonourable, their origins (i.e. family, region or ethnicity) may be implicated as the cause. In this way, there is a cultural pressure for individuals to protect their personal reputation and the image of those around them. This may require people to give a public impression of dignity and integrity by stressing their positive qualities, emphasising their family member’s achievements and adhering to social expectations. Doing something embarrassing, socially inappropriate or indecent can bring serious shame (‘sharam’) upon a person. Perceptions of dishonour, and the social ostracising that can follow, is known to have very real effects on people’s future opportunities and circumstances. To prevent such indignity in Pakistan, criticism is rarely given directly and praise is often generously offered. If faced with criticism, Pakistanis are likely to deny any fault in order to avoid dishonour. It is common for people to deflect blame to someone/thing else entirely in order to protect their honour. Generally, people will only openly concede to error and take accountability when the other person is older than them, doing so out of respect. It is worth noting that the expectations regarding what is ‘honourable’ and ‘shameful’ can vary significantly between different ethnicities, family backgrounds and social attitudes. For example, the younger Pakistani generation generally do not feel the need to stringently apply the honour code and will often hide certain ‘shameful’ actions they consider reasonable from the older generations who might be deeply offended by such behaviours. In this way, it can be seen that some people may not be personally ashamed of what they are doing, but more concerned that shame from society will affect their personal self-worth. This is often the case for younger Pakistanis acculturating to Australia who adopt aspects of Australian culture that their parents and parent’s friends may strongly disapprove of. 1See ‘Ethnic Groups’ and ‘Tribalism’ in Core Concepts of Afghan Culture for a deeper understanding of this ethnicities’ social organisation.